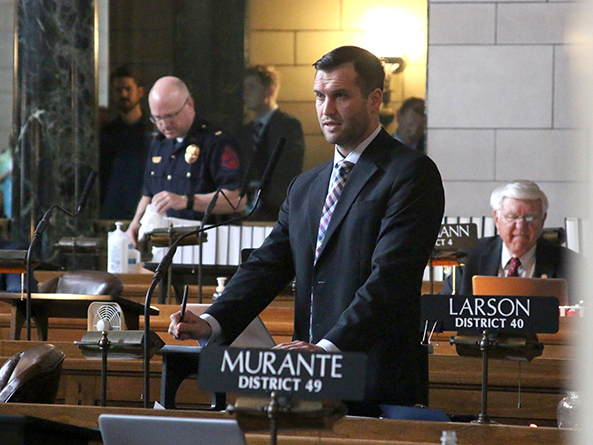 A bill that would make numerous changes to Nebraska’s liquor laws was amended and advanced from general file May 10. 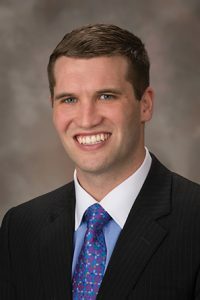 As introduced by O’Neill Sen. Tyson Larson, LB632 would make a number of changes to the Nebraska Liquor Control Act, including several impacting craft brewers. A provision that would require all alcoholic beverages purchased for resale in the state to be “at rest” at a licensed wholesale warehouse prior to distribution was the focus of debate. Larson said the provisions would clarify that – except for the ability to transport to and sell at their own retail locations – craft brewers must go through a distributor. The language would codify in state law existing rules and regulations created by the state Liquor Control Commission, he said, and is important so it can audit and regulate shipments. “To allow in-state craft brewery beer not to come at rest in the wholesaler’s warehouse, but to require out-of-state beer to do so, also raises a constitutional issue,” Larson said, which he said likely would result in expensive litigation. Lincoln Sen. Mike Hilgers disagreed, saying that the test in the relevant court cases centers on whether the different rules for in-state and out-of-state producers results in a system that is “rigged” to favor in-state interests. A system in which rural Nebraska craft brewers are allowed to have their beer come to rest in a distribution truck, while others would be required to come to rest in a warehouse, would not necessarily be unconstitutional, he said. “What I’ve seen so far here is that this type of change does not rig the game in favor of in-state sellers,” Hilgers said. Bellevue Sen. Carol Blood offered an amendment that would remove the requirement that beer be unloaded into and distributed from a licensed wholesaler’s warehouse located in Nebraska. Distributors still would be required to take possession of beer, she said, which would preserve the state’s three-tiered liquor control system that separates producers, distributors and retailers. She said the change simply would mean that distributors would not have to transport beer produced outside of Lincoln and Omaha hundreds of miles to a warehouse before delivering it to retailers. Sen. Tom Brewer of Gordon supported the amendment, saying it would support the many craft brewers operating in rural Nebraska. The amendment was adopted 35-0. As introduced, LB632 would have limited to 12 the number of Special Designated Licenses (SDLs) that a retail licensee could be issued in any calendar year. The bill also would have required a showing of “substantial need and undue hardship” in order for the Liquor Control Commission (LCC) to waive rules relating to issuing an SDL. • grant the LCC authority to suspend a license for up to 48 hours for a first violation and up to 15 days for a third or subsequent violation in the same time period. In addition, the bill would create the Music Licensing Agency Act. The act would require a music licensing agency to register with the state Department of Revenue and file an annual electronic copy of each performing rights agreement that provides for payment of royalties made available from the music licensing agency to any Nebraska proprietor. Following adoption of the committee amendment, the bill advanced to select file 43-0.